The picture was posted on September 10 and it has since collected over 5,000 'likes' on Twitter. Hurricane Irma has left a trail of destruction in its wake and forced millions to evacuate in Florida. However, there are several people who have been working tirelessly to ensure rescue operations go smoothly so that lives can be saved. And nothing symbolises unity in this huge ordeal better than this endearing photo of a cop with his dog. 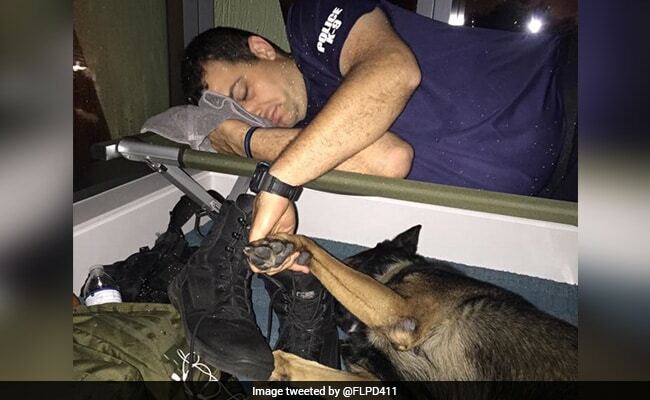 On their official Twitter handle, the Fort Lauderdale Police Department posted this touching picture of an exhausted first responder and his equally tired K-9 partner napping next to each other. The pair was later identified as K9 Officer Somma and his K9 partner Eddie by the police department on Facebook. And what's more adorable than the hand-in-paw picture is the message posted along with it. The picture was posted on September 10 and it has since collected over 5,000 'likes' and almost 2,000 retweets. 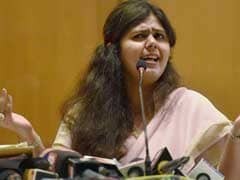 The tweet has touched a chord with many on Twitter. "Thank you for what you do for your community. Be safe! #HurrcaneIrma #ThoughtsPrayers," says one Twitter user. "From: Texas, To: Florida, Hang in there sisters and brothers! Together we are #StrongerThanStorms! HurricaneHarvery #HurricaneIrma," says another.